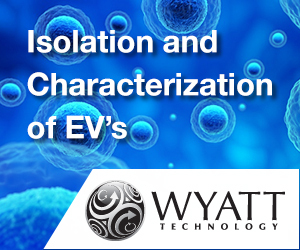 Exosomes are 30- to 100-nm, membrane-bound vesicles that are released by most types of cells, including tumor cells. 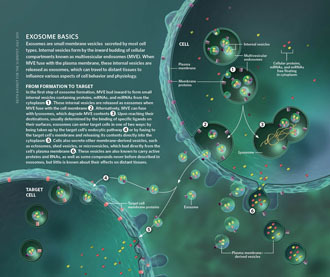 Exosomes contain a great variety of bioactive molecules, including signal peptides, microRNA, lipids, and DNA. 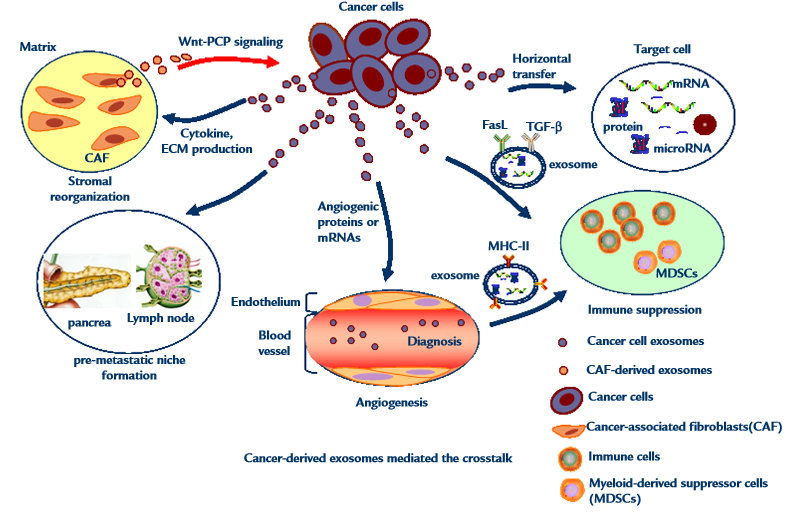 In cancer, tumor cells aberrantly secrete large quantities of exosomes to transport paracrine signals or to contribute to tumor-environment interaction at a distance. 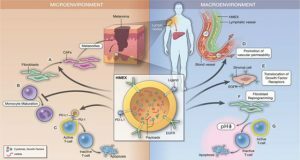 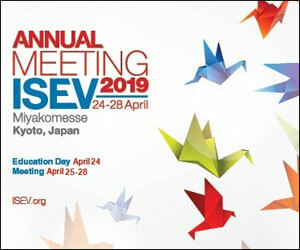 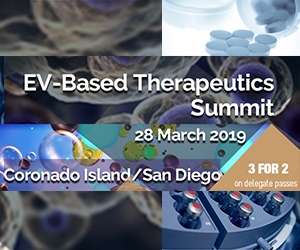 All of the exposed evidence points to communication between cancer cells and their surroundings, either mediated by cancer cell-derived exosomes or by stromal cell-derived exosomes. 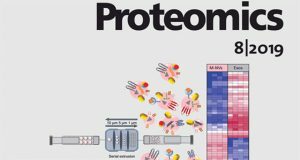 This communication probably supports tumor proliferation, motility, invasion, angiogenesis, and premetastatic niche preparation. 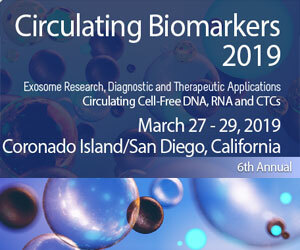 In addition, recent research implies that cancer cell-derived exosomes play a suppressive role in cancer-directed immune response. 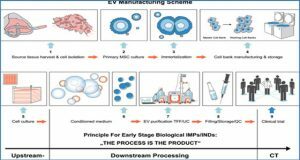 The biomarkers detected in bodily fluid-derived exosomes imply a potential for exosomes in cancer diagnosis. 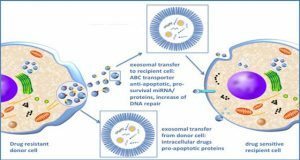 Also, exosomes could be used as a vehicle to selectively deliver therapeutic nucleic-acid drugs or conventional drugs for tumor therapy. 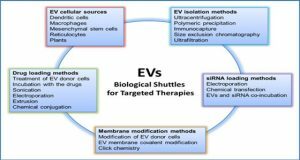 The tolerability and feasibility of cancer exosomes in diagnosis and therapy need to be further evaluated.